SUT is very sensitive to privacy issues on the Internet. We believe it is important that you understand how we treat the information you may provide to us. Unless specifically stated otherwise, the information you provide is never shared with anyone other than SUT employees, instructors or authorized contractors. SUT never trades or sells its student's personal information. This privacy statement applies to information collected by web addresses in the SUT.org, SUT.edu, Security University.org, and other domains owned and operated by SUT, Security University, and the Escal Institute, hereafter referred to collectively as SUT. To save you time and make our web services even easier to use, you may create a SUT portal account using your personal information. The SUT portal system saves your information and references it to your email address and password. The next time you visit the SUT website, you can simply enter your email address and password. If you purchase a product or service from us, we request certain personally identifiable information from you on our order form. You must provide contact information (such as name, email, and shipping address) and financial information (such as credit card number, expiration date). We use this information for billing purposes and to fill your orders. If we have trouble processing an order, we will use this information to contact you. We also use the mailing address to send you conference brochures and other items of interest. When you register online for a conference, you have the opportunity to opt out of being included in a paper attendee list. We give a copy to every student and vendor that attends the conference. The information on the attendee list consists of first name, last name, company, city, state and country. If you do not wish to be included in the conference attendee list, simply opt out where the form lists "Include my name in attendee list". Some SUT training events are co-sponsored by other organizations. Examples include SUT OnSite events that are held in conjunction with private industry, government agencies, or education institutions. When you register for one of these events, the co-sponsoring organization may have access to your registration data. The co-sponsor may use this information for purposes related to the event but may not share it with others or use the data for marketing purposes. Many organizations purchase vouchers that may be used by their employees to pay for SUT training. By using a voucher, the student understands and agrees that their student data, including contact information and course-related data may be shared with the organization's designated contact. When you register for a free vendor-sponsored webcast, you have the opportunity to opt out from a registrant list that will be sent to the sponsoring vendor. The information SUT provides to the vendor is for their organization only and the sponsoring vendor agrees not to share or resell the provided information. The data given to the sponsoring vendor includes email address, first name, last name, title, work phone, company name, address, city, state, postal code and country. SUT may occasionally provide you the opportunity to participate in contests or surveys on our site. If you participate, we may request certain personally identifiable information from you. Participation in these surveys or contests is completely voluntary and you therefore have a choice whether or not to disclose this information. The requested information typically includes contact and demographic information such as name and address. We may share aggregated demographic information about our user base with our partners and advertisers. This information does not identify individual users. 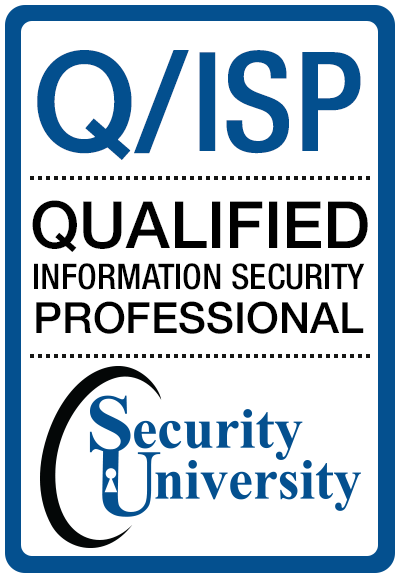 Security University Certified Professionals are listed on the Security University website and is considered public information. Published data includes Analyst Number, Certificate Holder's Name, Practical Title (if applicable), Exam Grades, and Certification Expiration Date. No personal contact information is published. When you log into your SUT portal account you may select the "Remember me" check box to set a persistent cookie to store your password, so you don't have to enter it more than once. You can remove the portal login cookie by clicking the "Logout" link. If you reject cookies, you may still use our site, but your ability to use some areas of our site, such as the portal, contests or surveys, will be limited and you may need to reenter personal information when you register for events. SUT safeguards the security of the data you send us with physical, electronic, and managerial procedures. Likewise, we urge you to take every precaution to protect your personal data when you are on the Internet. These precautions include changing your password often, using a combination of letters, numbers and symbols, and using a secure browser. The SUT website uses SSL v3 and TLS v1 encryption on all web pages where personal information is submitted. This protects the confidentiality of your personal and credit card information as it is transmitted over the Internet. SUT does not store credit card numbers on our servers. 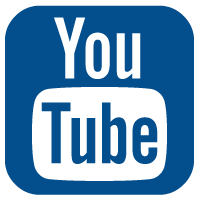 Credit card numbers are submitted to a credit card authorization service. This service provides SUT with credit card validation information only. We do not have access to your personal financial data. SUT may employ independent contractors to help manage data services, and such contractors may have access to data, similar to the access we give our employees. Also, SUT may store sales account data, including personally identifiable information, with a third party application service provider. You always have access to the information we have about you. To review and update your personal contact information, simply click ##### and log in with your email address and password, then click Update Your Account. We encourage you to review your preferences regularly to keep the information current. You may also write info@securityuniversity.net. to have the information changed or removed. If you no longer wish to receive our newsletters and promotional communications from SUT, you may opt-out of receiving them by following the instructions included in each newsletter or communication or by accessing your preferences by logging into ##### as described in the previous paragraph. The SUT web site contains links to other sites that are not owned or controlled by SUT. Please be aware that SUT is not responsible for the privacy practices of such other sites. We encourage you to be aware when you leave our site and to read the privacy statements of each and every web site that collects personally identifiable information. SUT does not sell or trade your personal information. We may at times receive contact lists from other organizations. We may send mailings such as brochures to these addresses. Typically, these are one-time mailings, and the data is not entered into our database. If you want to remove yourself from the third party's database, you must contact them directly. These mailings have a brochure code printed on the mailing label. By providing this code, we will be able to tell you from what provider we received your contact info.